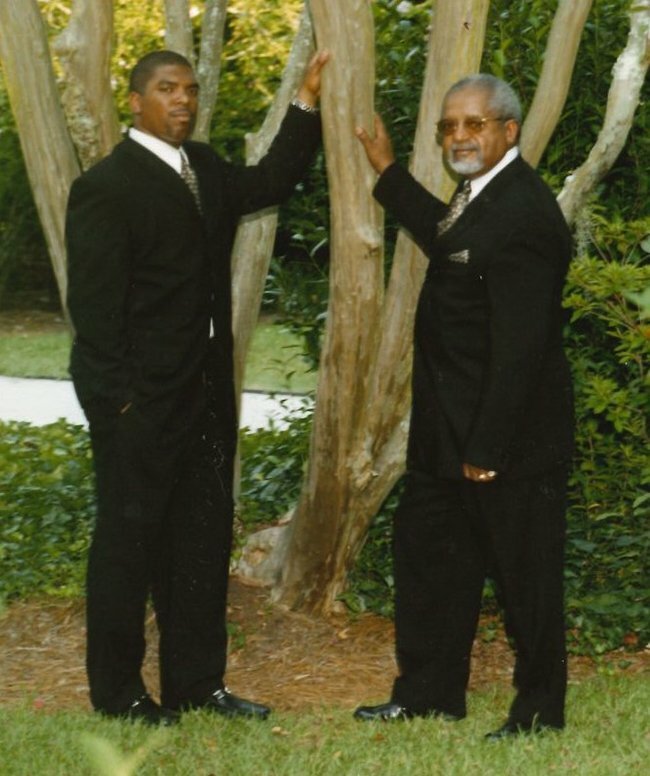 Hines Funeral Home was founded in 1946 when brothers Gilbert and William Hines had a simple idea of providing unparalleled personal funeral service to the families of Hartsville, South Carolina. 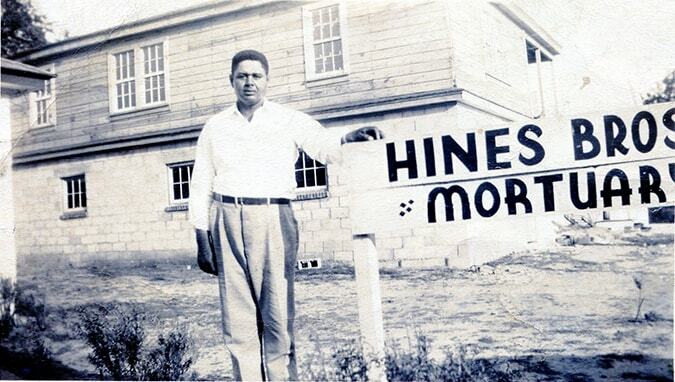 The original name of the business was "Hines Brothers Mortuary" and the brothers operated as partners from 1946 – 1965. 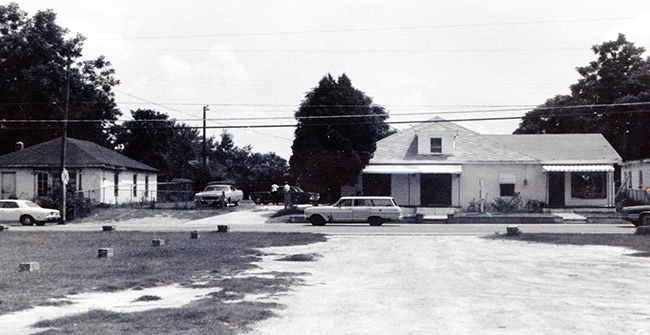 That year the partnership was dissolved and Gilbert Hines became the sole proprietor and the name was changed to Hines Funeral Home. 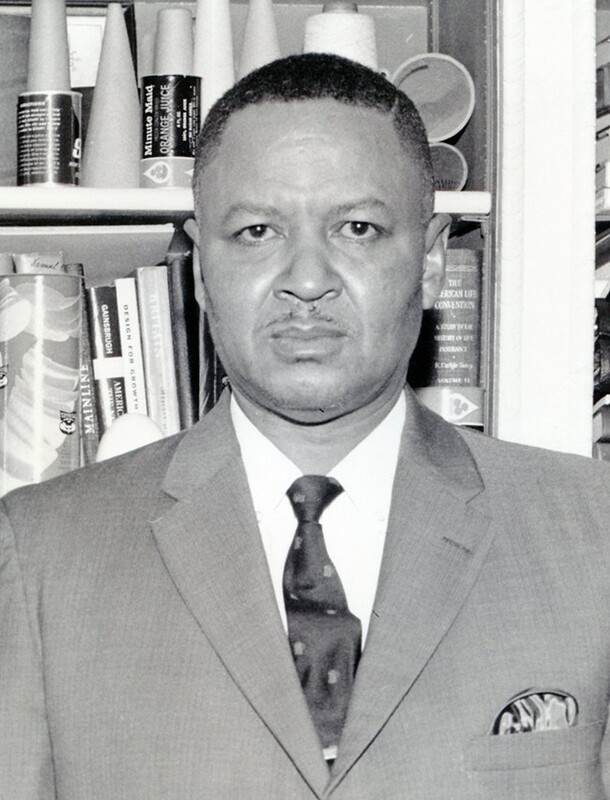 After Gilbert's death in 1972, Rheubell Hines, widow of Gilbert and their son, Franklin Hines took over the operation of the business. 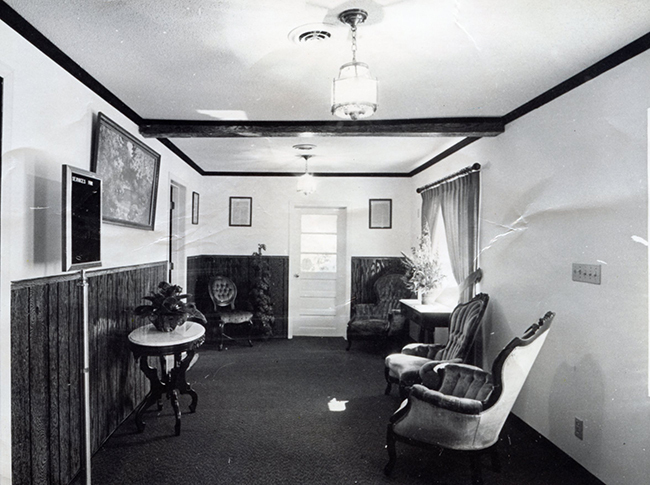 In 1975, the entire funeral home was remodeled inside and out including the addition of a completely new state of the art preparation room. 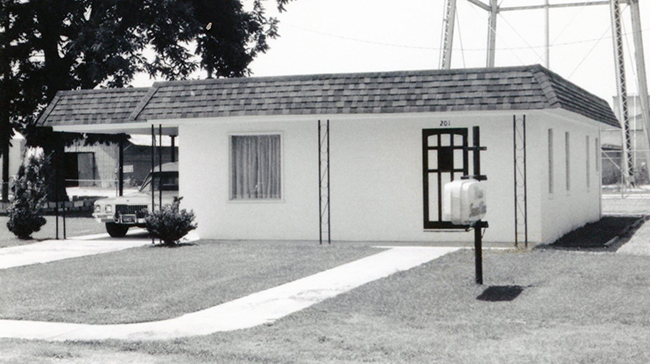 In 1977, the business expanded by opening a new facility in Lamar, South Carolina. 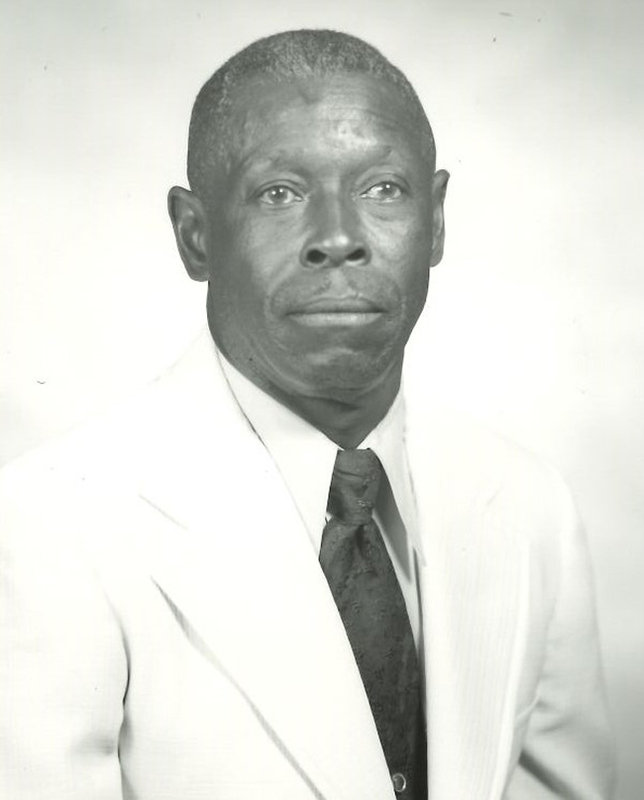 In 1986, the Gilbert Hines Memorial Chapel was built at the Hartsville facility in honor of one of the original founders. 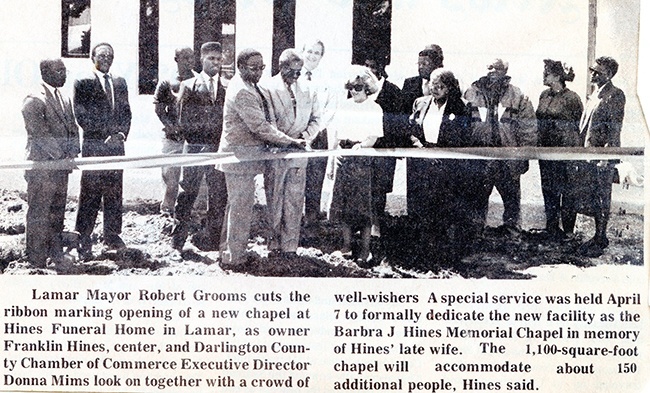 A similar chapel was built in 1991 at the Lamar facility in memory of Barbra J. Hines, the wife of Franklin Hines and it was called the Barbra J. Hines Memorial Chapel. 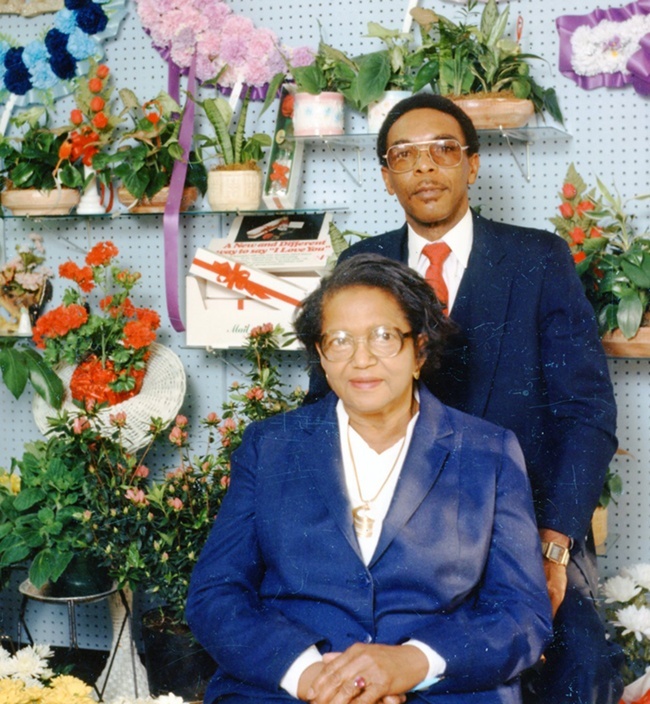 In 1995, the Hines family purchased Darlington Memory Gardens, an 18 acre perpetual care cemetery. The cemetery includes a mausoleum, a veteran's section, a pet cemetery and a private estate section. 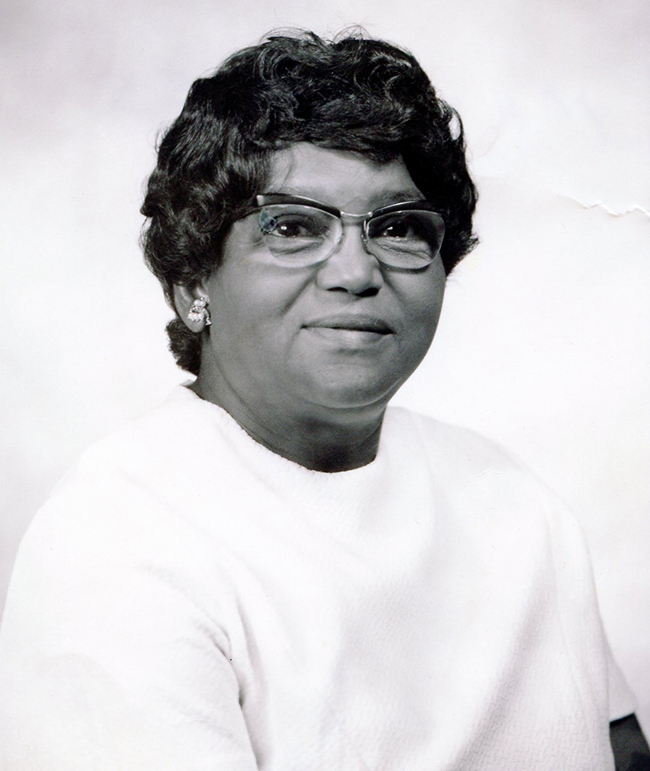 The cemetery provides cemetery property, headstones and markers, and other memorial merchandise to all citizens of Darlington, Lee, and Florence counties regardless of race, creed, color or ethnic background. 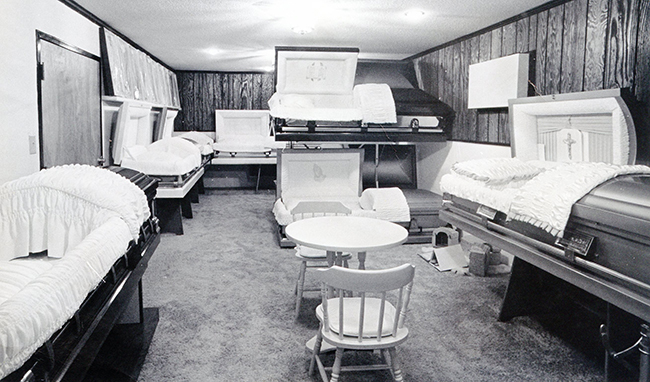 In February 1996, Hines Funeral Home Inc. was one of the first funeral homes in the state of South Carolina to offer pre-need burial products. This allows the funeral home to serve an additional segment of the community that wants to prepare for their burial in ways that will economical and less cumbersome than at the time of death. The current staff includes three licensed funeral directors, embalmers and pre-need specialists. In 2000 Hines Funeral Home, Inc. was invited to join the prestigious funeral service organization, The International Order of the Golden Rule. This organization admonishes its members to operate using the Golden Rule as its credo, "Do unto others as you would have them do unto you". 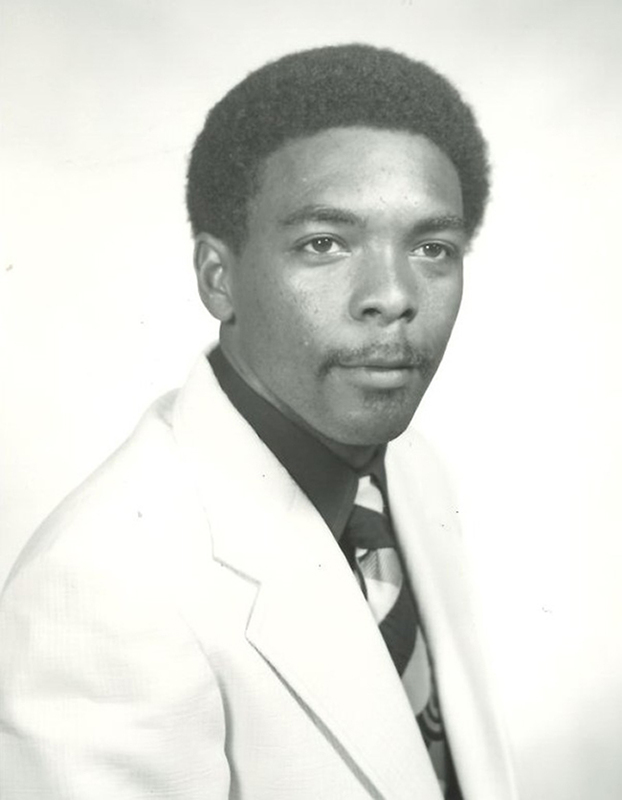 Hines Funeral Home, Inc. has always been considered a leader in the funeral service industry and has that plus the use of advanced technology to add dignity and personalization to funeral services. 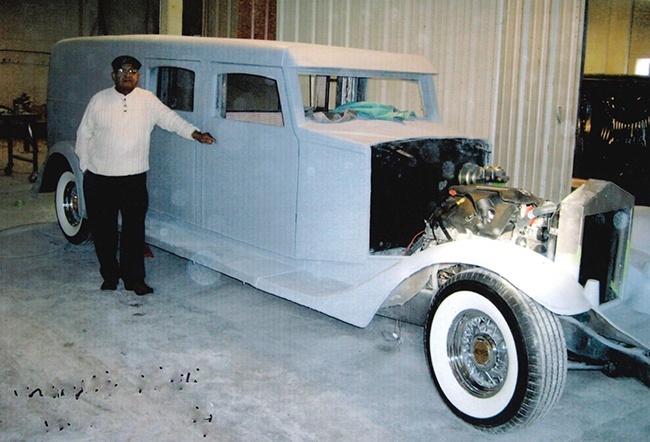 In 2008, Hines Funeral Home, Inc. added a Timeless Hearse to its rolling stock in an effort to provide a unique experience to the elegance of the funeral ceremony. Hines Funeral Home, Inc. has been fortunate to have many dedicated and loyal people from the community to help in our daily mission of serving families with the utmost professional service. 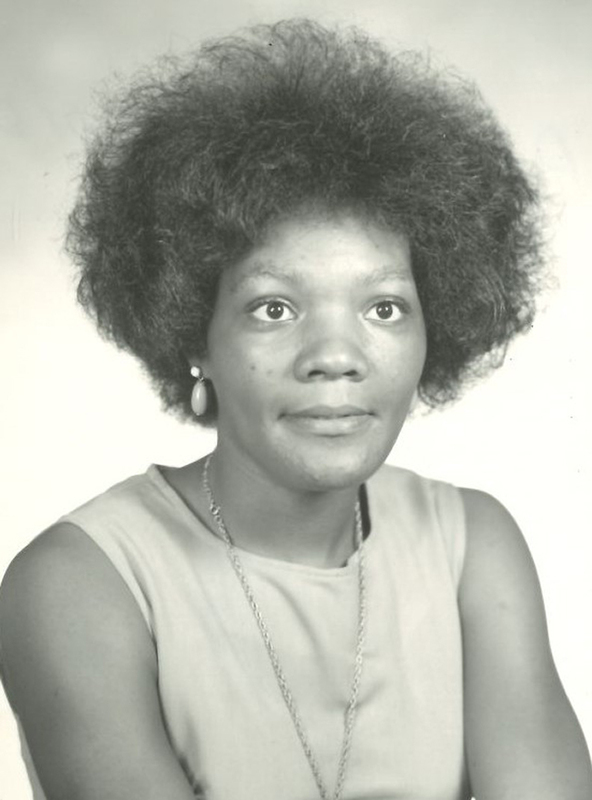 Charles Pearson, Frank Benjamin, Robert Cabbagestalk, Nick Mack, Bert Rogers, Clyde Davis, Doris Griffin, Floyd Davis and Rev. 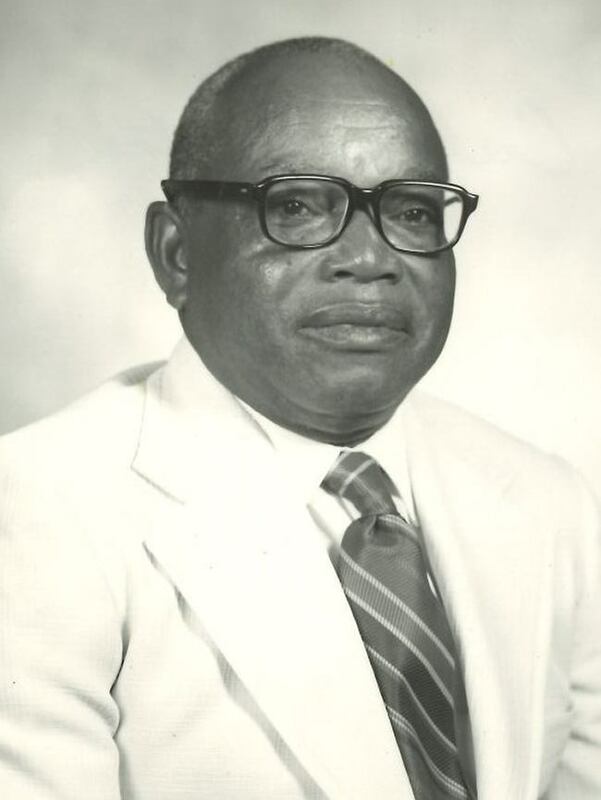 Pendarvis Mathis have all contributed to the ideals that have sustained Hines Funeral Home, Inc. since its inception and have powered our mission into the 21st century. 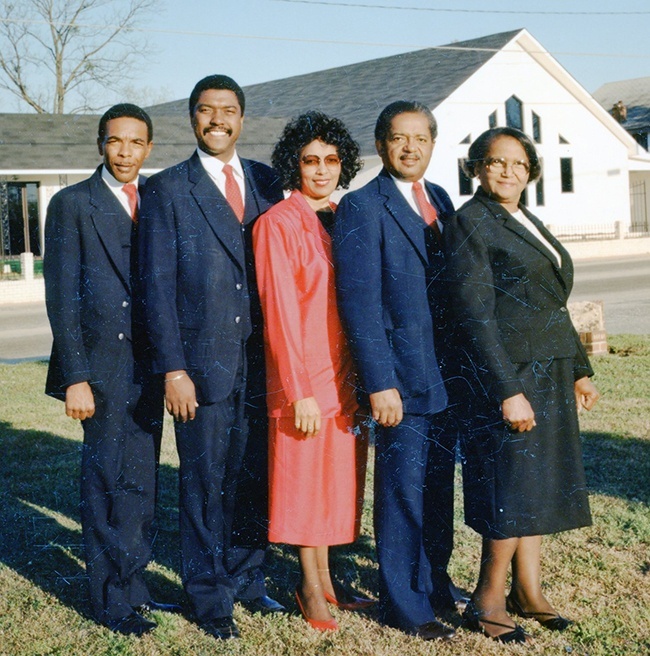 The current professional staff of Hines Funeral Home, Inc. has well over 100 years of combined experience in caring for families in our community. Franklin Hines, Carl M. Days, J. Khalfani Hines and Delores Hines all pledge to continue to provide excellent service for those families that we are privileged to serve.